Have you heard about our amazing Blendtec giveaway? If you've only ever used a regular blender, let me tell you: this fantastic, high-powered Blendtec will totally rock your world! I remember trying to make a smoothie will my old blender—I'd have to almost totally thaw my frozen fruit before I could blend it. Which is sort of a bummer when you want that frozen, frothy smoothie bliss. In honor of our contest, I created a recipe that celebrates the power of the Blendtec. It crushes frozen fruit and nuts for this smoothie bowl, creating a creamy dish that's wonderful any time of day, whether for breakfast or dessert! *I used this Very Cherry Berry Blend from Trader Joe's, which consists of frozen cherries, blackberries, raspberries, and blueberries. It is brilliant. 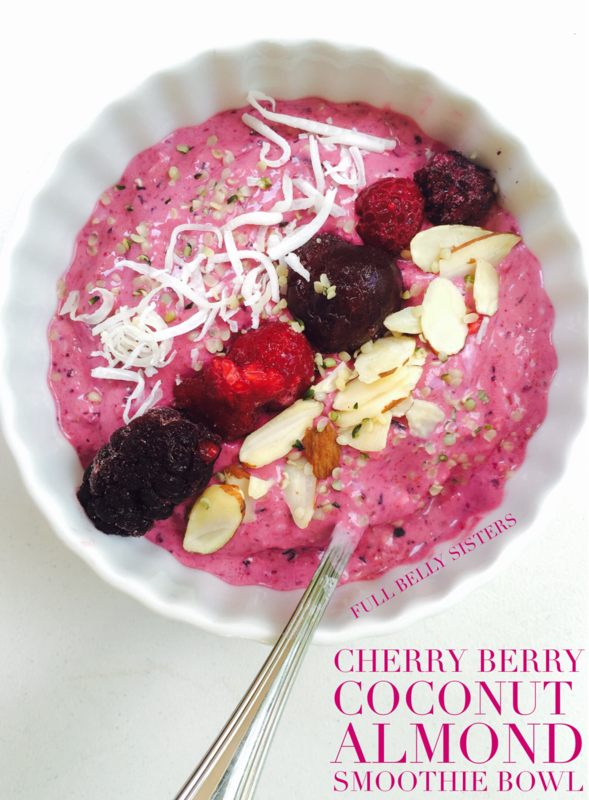 Add the yogurt, fresh and frozen berries, coconut, and almonds to the blender. (You may notice there's no liquid in the ingredient list, but the fresh berries add enough liquid to get everything going!). Start blending, slowly turning up the power. Blend until the mixture has the texture of frozen yogurt or soft serve ice cream. Scoop out into a bowl. Top the mixture with the hemp seeds and additional berries and cherries, almonds, and coconut. For all you parents out there who are worrying about what to feed your kids each morning before they head off to school: feed them this! It's sweet and colorful—so the kiddos will dig it—but it's also loaded with protein, probiotics, fiber, calcium, and good carbs. What a wonderful way to start the day, am I right? You should also try my Almond Joy Smoothie Bowl! This looks absolutely delicious and your picture are just gorgeous! Another marvelous and delicious recipe, Justine! This is so colorful and appetizing looking, I would love that right now! Wish I could make you one, Tara! So healthy. So colorful. So flavorful. This sounds like the perfect healthy and yummy breakfast!! Gorgeous pictures as well!! This looks wonderful and refreshing for these hot summer days. What a lovely, satisfying breakfast! 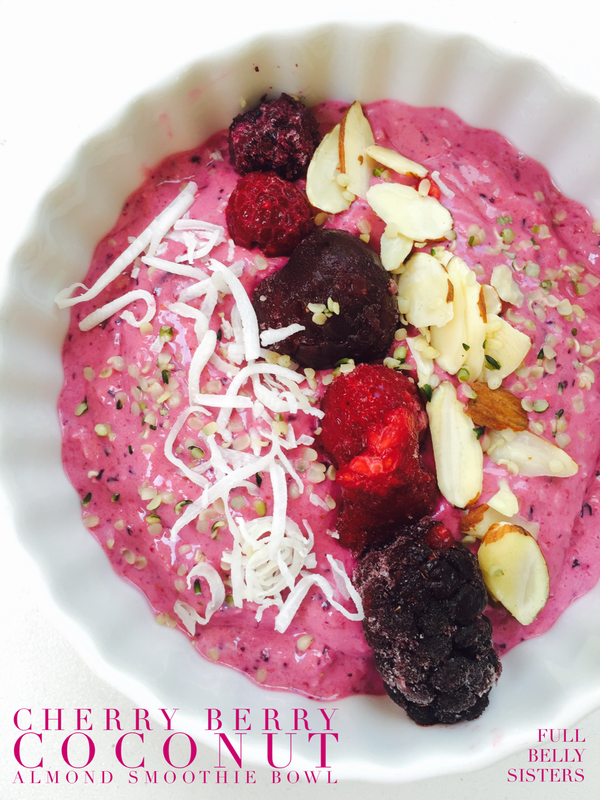 Your smoothie bowls look amazing. Love the Cherry/Coconut/Almond combination! This is a gorgeous smoothie bowl!! I love that pink color! I love this combo and the color couldn't be more beautiful. I could eat this right now. This smoothie bowl looks glorious! I would love to eat that for breakfast. Yum! The color is stunning! I bet it is equally tasty! What a gorgeous and healthy looking smoothie! Pinned and shared! Great photos and despite it being healthy (a good thing) it looks decadent. The colors in this are stunning! I love what's going on here, healthy and tasty! 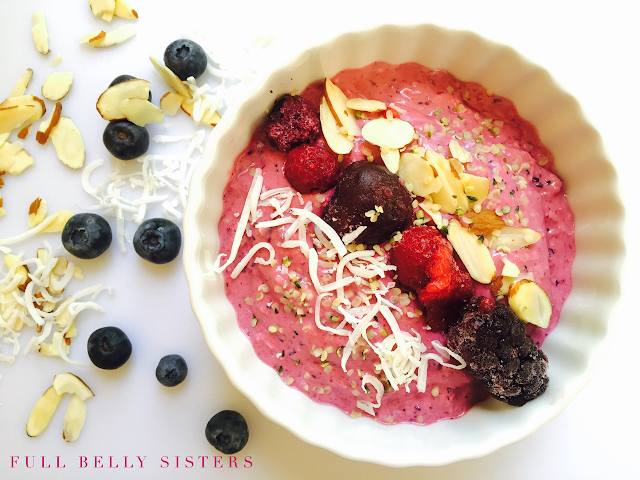 What a wonderful pink smoothie bowl. The perfect treat to boost my day in a healthy and tasty way! This looks great!! Healthy and yummy!! This is a delicious and healthy treat. I love my Blendtec, and I'll definitely be giving this a try.